When I saw this entry in the LEA sims a while back, my first thought was: ah…another sim dedicated to Alice in Wonderland…and to be honest, I skipped it. Not that I do not like Alice in Wonderland or Through the Looking Glass, I actually love the books! 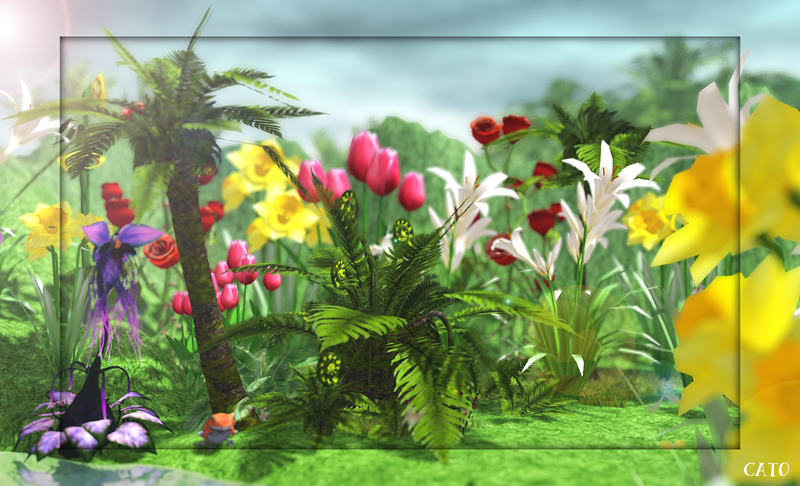 But I have seen so many sims using this theme, and quite frankly not all of them are what I expected. Today I decided to have a look at Inside Art, Through Wonderland though, created by Ginger Lorakeet and I have to say it is lovely! You have to find your way through a maze first and then you can wander about and enjoy the happy, flower-filled world. I, for one, was delighted to find my all time favourite poem : the walrus and the carpenter to nicely displayed and in my head I quoted it :). Now, of course you will find all things related to Alice and Through the Looking Glass, very nicely detailed installations! 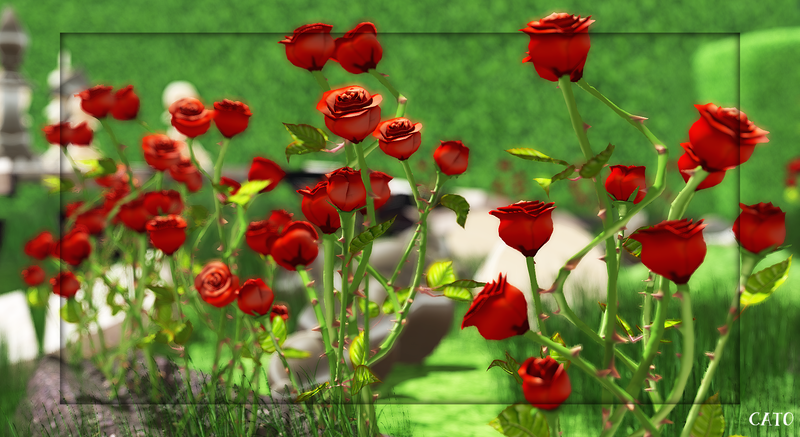 I was in awe by the use of flowers and colours and I think the red roses that surround the chessboard are the prettiest I have ever seen in SL! I mainly made pics of the flowers, just because I love them so much! There is a photo-contest and you can do a Quest with a special HUD, for those into more interaction, and yup…this Wonderland is worth a visit!